The only language option is spanish which may cause problems for non spanish speakers wanting to do business in Peru. The website is quite clear and easy to use. It is possible to list all of the available jobs and then using a range of filters, narrow down your search. There is a large selection of job offers on the site and they are regularly updated. 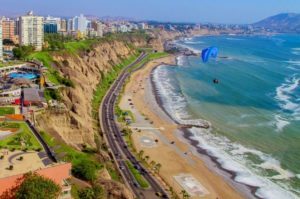 Peru is the 41st largest economy in the world and is very market oriented. Though there is a large gap between the rich and poor the poverty level has reached to 31%. However the unemployment rate is gradualy declining. The country's economy largely stands of import and export and its names as one of the fastest growing economies worldwide. There are many job opportunities in the field of tourism as well. Login here for FREE to unlock access to the traffic audience, content and pricing section for more information on Aptitus. Blog Aptitus.com is the blog that will guide you on your way to success, you will find the best career advice directly from professionals in each topic, and if you are responsible for selecting candidates, we will give you essential information so you can hire the best best people for your needs. Undoubtedly the most effective job boards in Peru. Go post on Aptitus for your recruitment campaign in Peru.